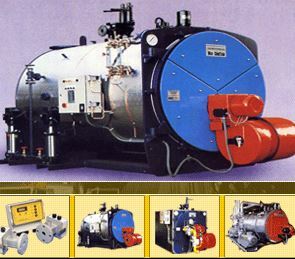 Topmech Engineering Pte Ltd was incorporated in 1987 as a boiler repair and service company. We clinched the exclusive agency for Singapore from Cochran Boilers (UK) in 1990 due to our proven expertise and experience in industrial boilers. We have since supplied , installed and commissioned more than 100 industrial boiler plants in Singapore and the region. Our customers can be found in the pharmaceutical & chemical, food & beverage, oil & gas, electronic, polyfoam & paper, hotel & laundry industries etc. We take pride in the high level of technical expertise and quality services we provide to our customers, backed by a dedicated management & workforce, many of whom have been with the company since its inception. Address: Blk 9 Pioneer Road North #01-60, Singapore 628461. Topmech Engineering Pte Ltd. @ All Rights Reserved. Hosted by Creative eWorld Pte Ltd. Best view with IE5++ or Netscape6++.